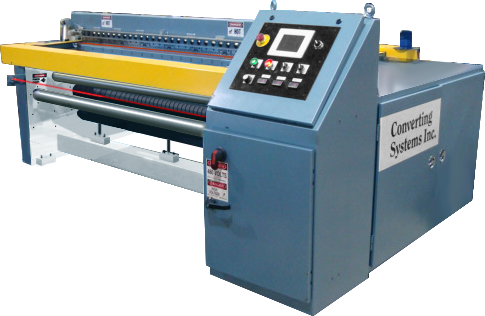 CSI Model 1820 – Dual Head Servo Shuttle Style Plastic Bag Machine - Converting Systems Inc. Designed with production in mind, this machine’s functionality allows your extrusion process maximum flexibility. 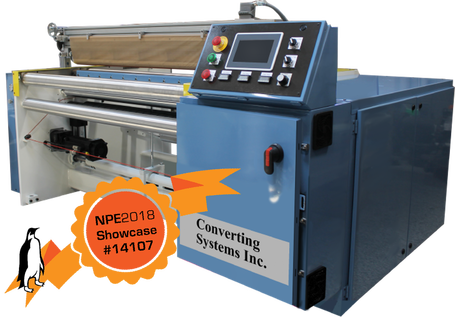 Equally equipped to run in line OR out-of-line, it incorporates all of the field proven components and designs as our highly successful Model 1801, 1801E and 1850 inline bag machines. Operators control all the machine functions and set-up through a color touchscreen, eliminating the need for operators or set-up personnel to go inside any enclosure. Features Indramat servo control platform, AC sensor-less vector drive and solid state temperature controls. Double production of bag lengths 4” to 17”. The 1820 can run as a dual head machine OR as a standard single head machine.